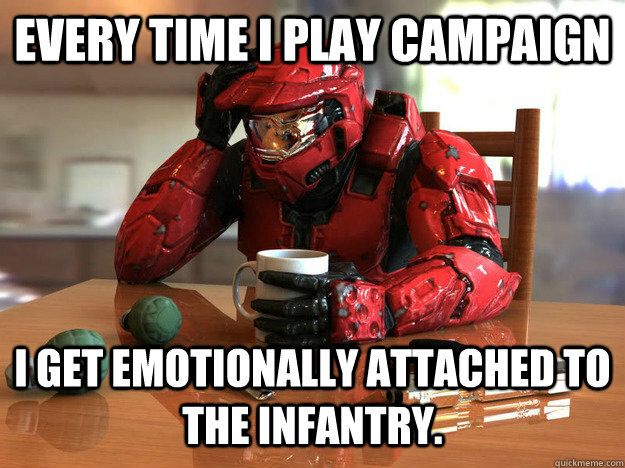 Every time I play campaign i get emotionally attached to the infantry. 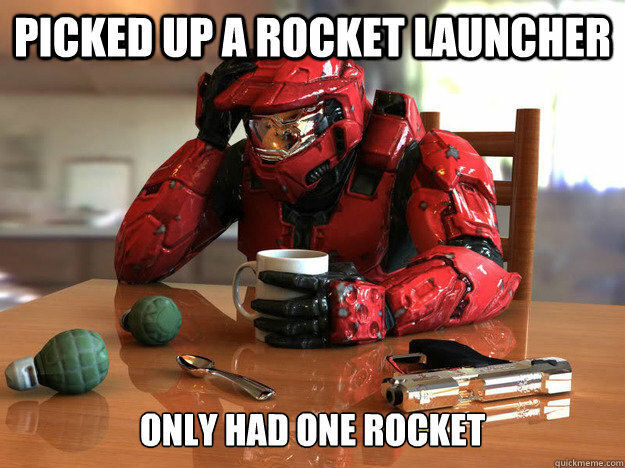 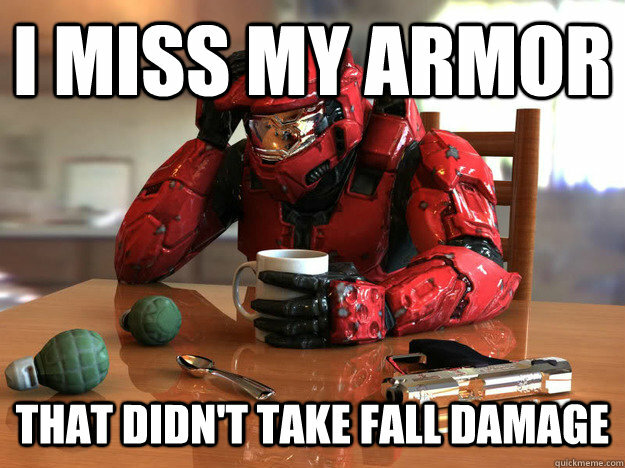 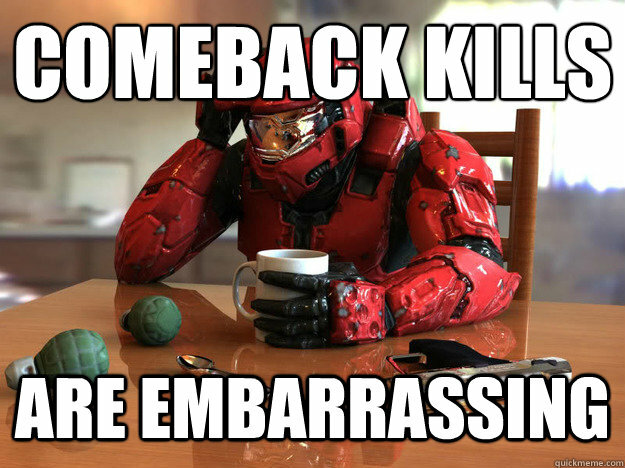 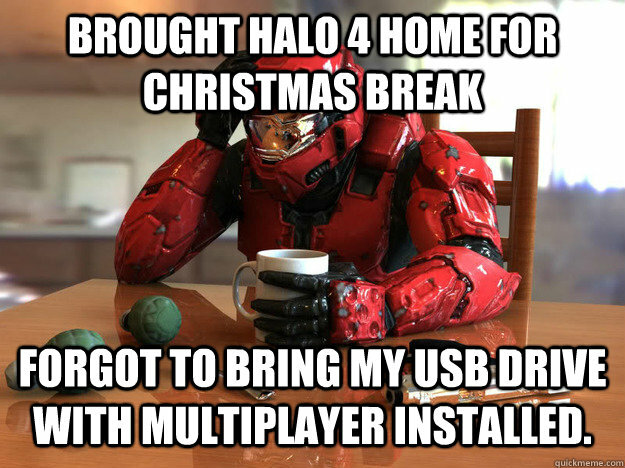 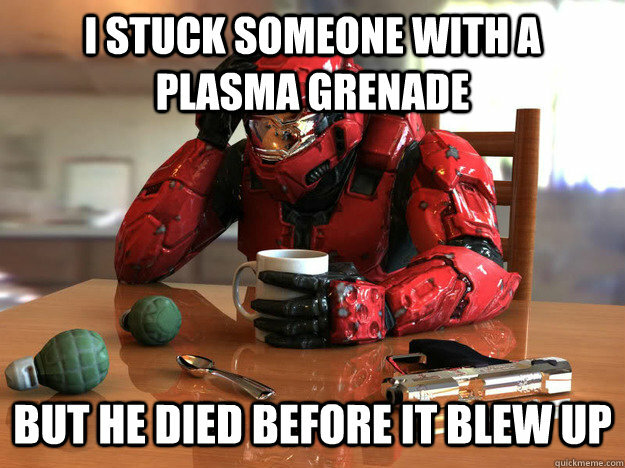 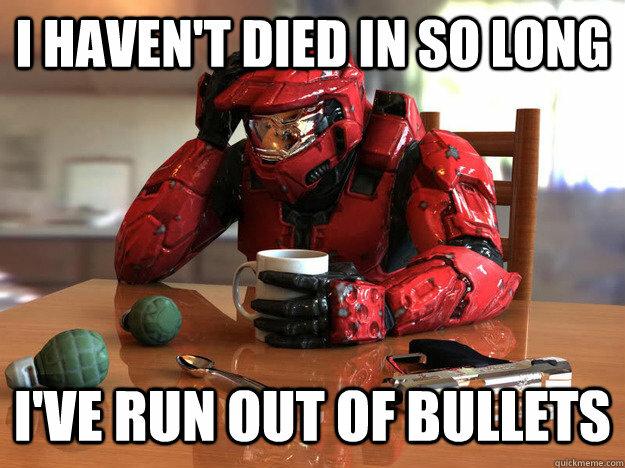 Brought Halo 4 home for Christmas Break Forgot to bring my usb drive with multiplayer installed. 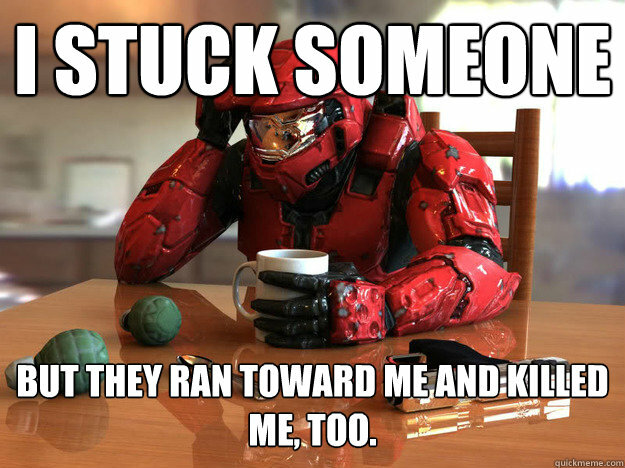 I stuck someone but they ran toward me and killed me, too. 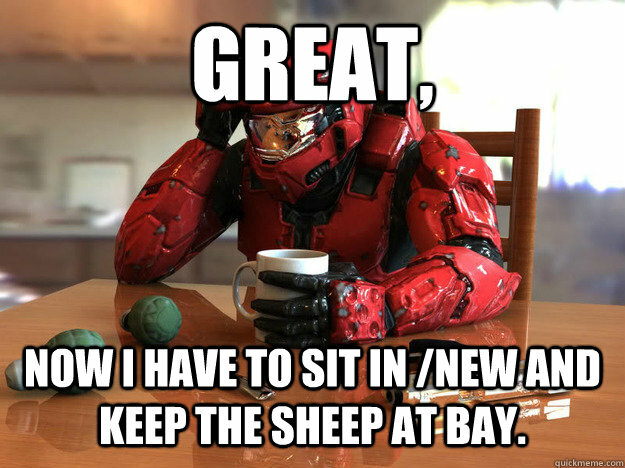 Great, Now i have to sit in /new and keep the sheep at bay. 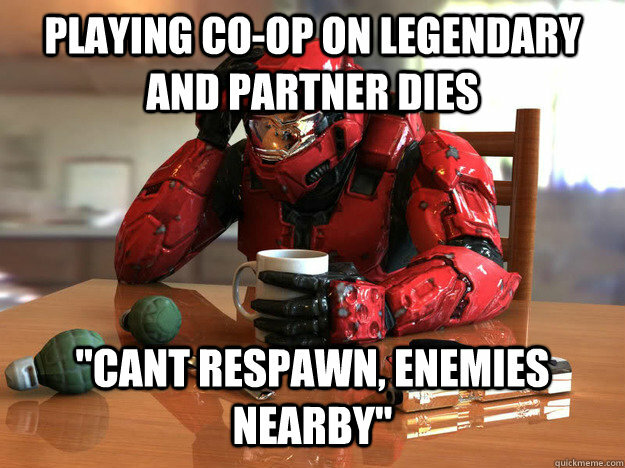 Playing co-op on legendary and partner dies "Cant respawn, enemies nearby"